The Ladybird bath and vanity set was created with lack of space in mind. 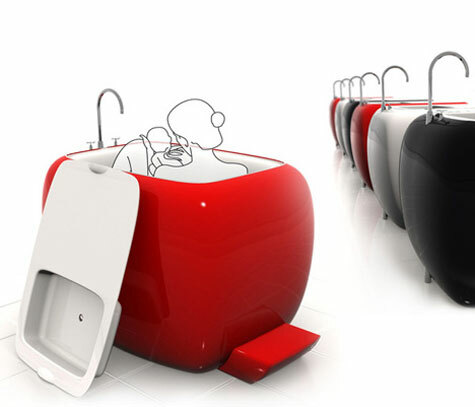 On the top, you have a vanity with a built in sink yet when you lift the lid of the sink, the Ladybird opens up to a place where you can relax and find comfort while you bathe. Take advantage of this technological breakthrough: Contemporary in design, Euphonia’s headset is wireless and waterproof. Result : quaranteed safety, perfect comfort. 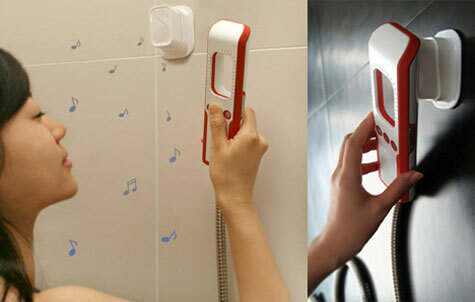 Listening to music in your bath is made easy and simple. Pure pleasure, for your ears only. 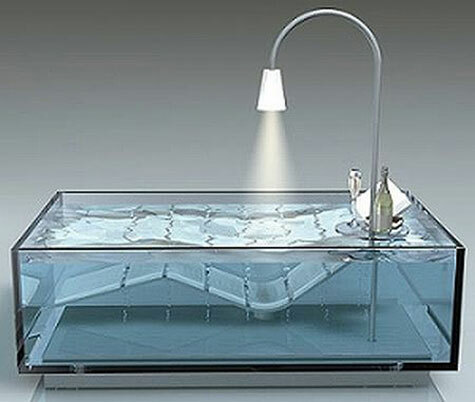 Combining the relaxing qualities of a lounger and a bathtub into a single product, an idea so simple and logical, yet never brought to life before - pure genius! 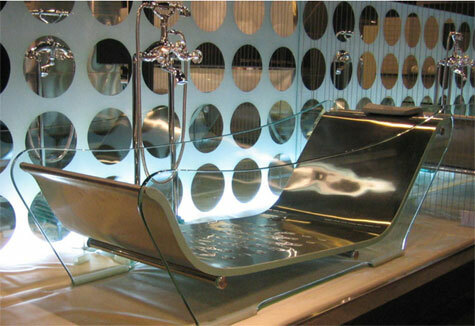 Completely transparent tub side panels rest supported by a metal construction allowing the beauty of this sculptural design to shine. Ergonomically designed acrylic lounger allows you to relax completely while the gentle air bubbles coming from the small gaps in the support massage your body. 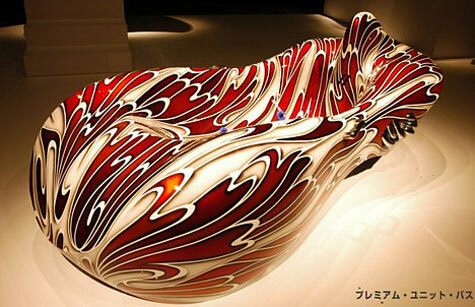 Artist Tetsuya Nakamura’s Premium Unit Series of curvaceous, luxury bathroom fixtures — a tub, a pair of sinks, a step designed for insertion into a stairwell, and a decorative column — are sculpted from fiber-reinforced plastic and painted with colorful, fluid patterns meant to evoke a sense of speed. 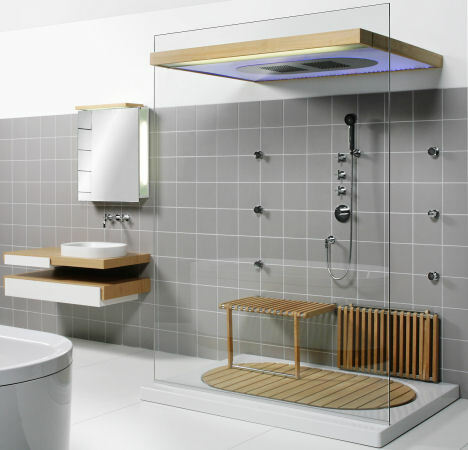 The Sensamare Komplettbad from Hoesch combines simple forms into innovative designs for an engaging bathroom with minimalist style. Ovals feature prominently in the Sensamare Komplettbad creating a uniting theme between the pieces. The bath and basin both use the wide oval shape for their exterior forms, but inside they offer straight lines and rectangular vessels. This contrast of curving and linear geometry creates a dynamic tension and distinctive character for the Sensamare Komplettbad. The juxtaposition of contrasting forms is mirrored in the materials of the Sensamare Komplettbad. It’s been my observation that people of means (in the U.S. anyway) spend a lot of money on their kitchens, but a comparatively meager amount on their bathrooms. Perhaps this is because bathrooms are not so much on display whereas gargantuan, open kitchens have become the center of the modern home. 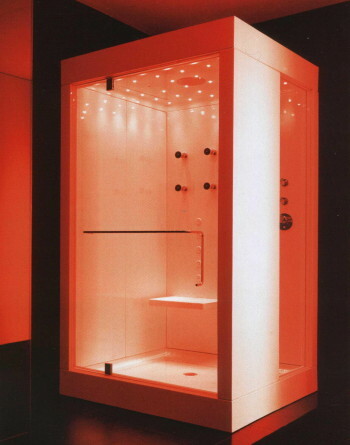 I’d forego fancy kitchen appliances for one of these Kosmic showers from Italian company KOS. 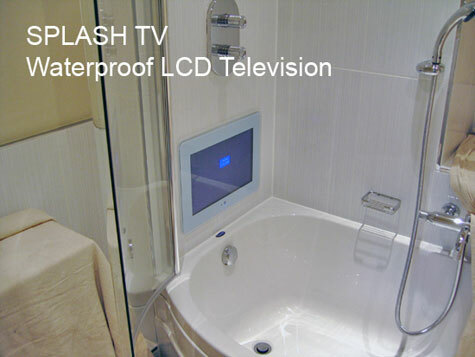 The smaller model has, in addition to a central shower head, four lateral shower jets and five massage jets.